Oxford Plains Speedway owner and Pro All Stars Series (PASS) President Tom Mayberry announced Wednesday that Massachusetts-based HP Hood Company will be the title sponsor for the 43rd Annual Oxford 250. The 43rd Annual HP Hood Oxford 250 will take place on August 26-28 at Oxford Plains Speedway and pits the best short track racers in North America against one another, with over $25,000 going to the winner. “This is a great day for the Oxford 250 and for all the race fans of Maine,” said Oxford Plains Speedway’s Tom Mayberry. “HP Hood is a company all of us in Maine are proud of and they have stepped up in a big way with their support of this year’s 250. It’s a natural partnership that will see the 43rd Annual HP Hood Oxford 250 continue to grow as one of the premier events in all of short track racing.”. For more than 160 years, the name Hood has been synonymous with fresh, quality dairy products that taste great. Founded in 1846 in Charlestown, Massachusetts by Harvey Perley Hood, the company has since extended its New England roots, and today Hood is a national company distributing dairy products throughout the United States. In fact, HP Hood LLC is now one of the country’s largest branded dairy operators with 13 manufacturing plants throughout the United States. The company also maintains its own research and development operation, which supports the superior product quality and innovation that Hood customers have come to expect. Drivers from across North America are already entering the 43rd Annual HP Hood Oxford 250 and this year’s event looks to be one of the biggest in recent memory, with 29 stars already filing entries. 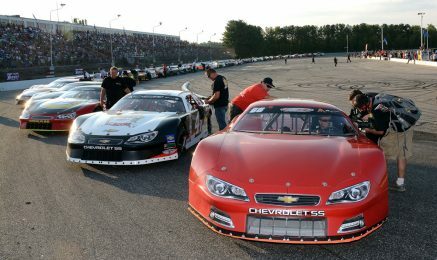 The current entry list is led by former HP Hood Oxford 250 winners Travis Benjamin, Mike and Ben Rowe, Joey Polewarczyk, defending race winner Glen Luce, six-time PASS North champion Johnny Clark and 2015 PASS South champion Tate Fogleman, as well as former PASS national champions Joey Doiron and Jay Fogleman.